My background is photography, and photography is about light and how you see the world with it. There are interesting activities of ‘Art and Science’. 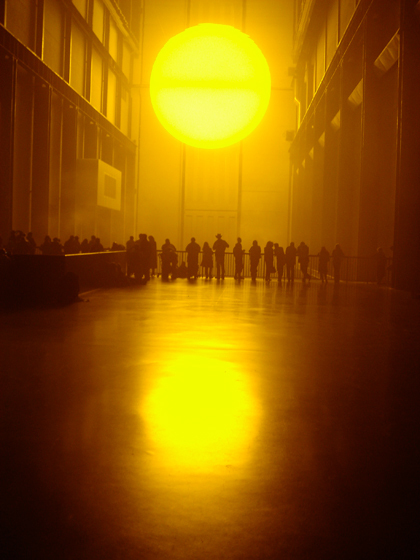 Olafur Eliasson’s ‘The Weather Project’ at Tate Modern in 2003 stunned the people for instance. The project is a basically optical illusion, as the visitor enters the space, he is confronted by gigantic illuminated orange disc suspended from the ceiling at the far end of hall. Humidifiers pump a mixture of sugar and water into the air to create a mist. The work was engaged with visitor by something of its beauty and power. 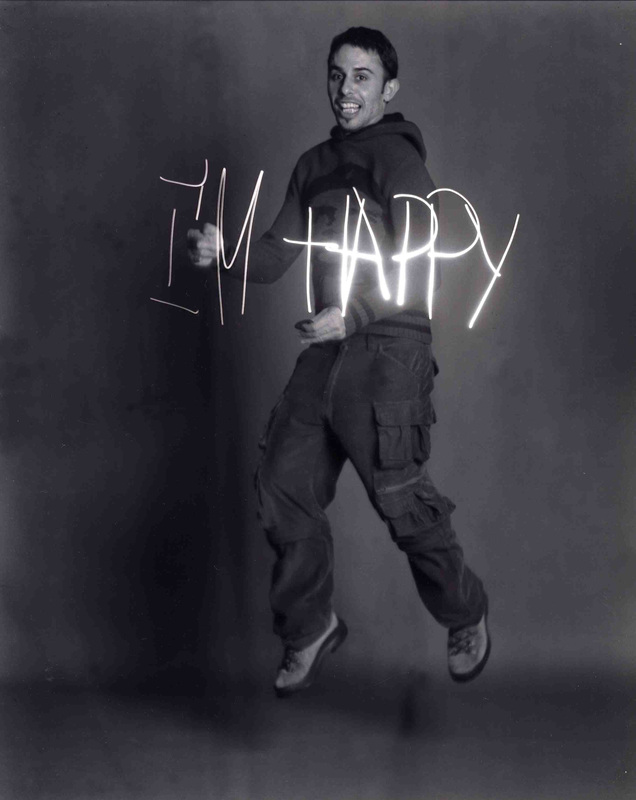 I also interested in use of light in photography such as light drawing. It is just fantastic to see something eyes normally unable to see. 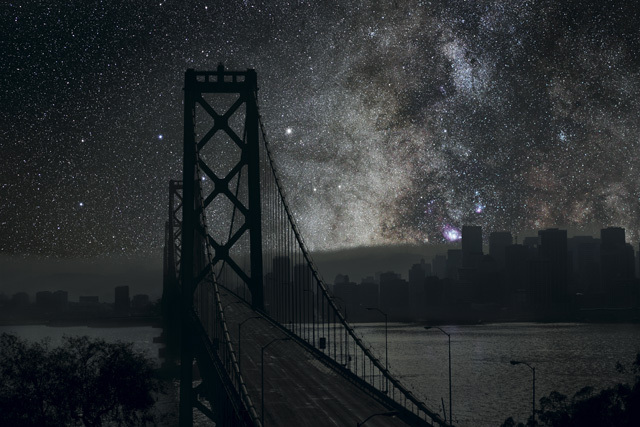 Thierry Cohen’s photographic work ‘Darkened Cities’ let us see the beautiful cities in the impossible view. 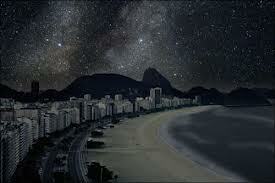 Again, mechanics of science and photography/art make possible to see something impossible. Now then, there are many ways of expressions about light in art scenes. But there were times when it was used for making base of paintings. It is well known that Vermeer was using camera obscura for instance. Also, it was used for recording as a tool and not art. 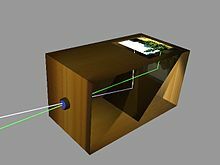 The camera obscura (Latin ; camera for « vaulted chamber/room », obscura for « dark », together « darkened chamber/room » ; plural : camera obscuras or camerae obscurae) is an optical device that projects an image of its surroundings on a screen. It is used in drawing and for entertainment, and was one of the inventions that led to photography and the camera. The device consists of a box or room with a hole in one side. I would like to mentiona bout pin hall camera which we can set up and try out. 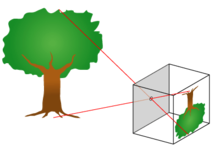 A pinhole camera is a simple camera without a lens and with a single small aperture – effectively a light-proof box with a small hole in one side. Light from a scene passes through this single point and projects an inverted image on the opposite side of the box. The human eye in bright light acts similarly, as do cameras using small apertures. Up to a certain point, the smaller the hole, the sharper the image, but the dimmer the projected image. The problem is that like cameras in nowadays, it does not allow to decide depth of field (f-stop) but on the other hand, this could be a natural effect to make artistic ’blurred’ images ! A common use of the pinhole camera is to capture the movement of the sun over a long period of time. (This could take long times) This type of photography is called Solargraphy. Sun is a light soursce to use this pin hall camera and safe for everyone. Refracted ray, Vanishing point, Image and light....are basic elements that children could learn from the little box of ’Pin hall camera’. Learn 1. How the image coming up 2. We can see the image upside down 3. How we can make a focus Offcourse it is important not to see directly the sun through lens, it is dangerous.